TataChilla Stables. 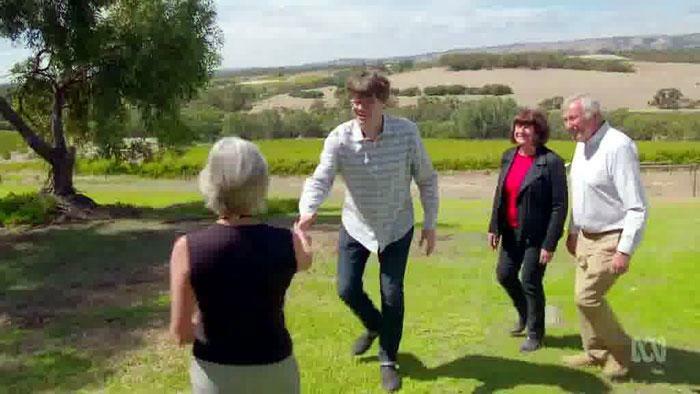 Johnny and Ann want to transform a 19th Century stables and pickers cottages, in the wine region of McLaren Vale, into their new home. With a Christmas deadline, the pressure is on to restore the derelict buildings. Restoration Australia follows the trials and tribulations of Australians restoring buildings to their former glory. Stuart Harrison follows the restoration process, to showcase the amazing Aussie battlers working to restore these fine heritage buildings. G’day from Germany! Thank you so much for posting!